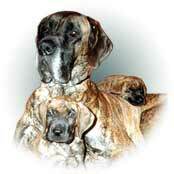 Russian Great Danes kennel "iz Rossiiskoi Imperii"
About the Great Dane compose legends, tell jokes and dismiss gossips. One speak that he is awful, others - he is perfect. So who he actually? The standard of 1926 defines the Great Dane so: "Friendly character, he is very kind and very much adhered to members of family and, in particular, is delightful in relation to children". 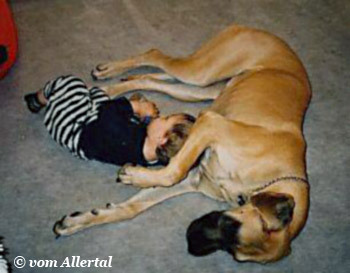 And, the truth that the Great Dane - the best partner for young, recognizing in him of excellent comrade on games which, understanding the size and the force, avoids pushes, bears their whims (but only, until, when it does not pass borders and does not force ihim to retire). He becomes the present tutor for children. In the house he distinguishes "atmosphere" and pleasures, and afflictions of each member of family, he even empathizes the expression and behaviour. A birth of the new child for him event of vital importance. He is far from jealousy or disappointment, on the contrary, he testifies to the baby additional interest and voluntary becomes the close nurse as though felt vulnerability of the kid. And what with his qualities of the guard and means of intimidation? Intimidation is obvious: "... He does not show nervousness, even during the moment of activity, and renders effect of an antique statue on the spectator... ". It is the truth, that it to begin, his presence of mind, are sufficient to dissuade the visitor to behave it is too free. The truth and that he not malicious also is necessary to give him education extremely unsuccessful that his those to make. 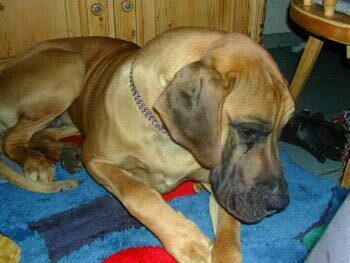 The Great Dane - "a dog in a superlative degree" - he is much more, than simply a dog - he the partner with whom it is possible to be on equal which is your friend, yours "Visavis" among your friends, even your interlocutor, his sight is so expressive. The Great Dane - "a dog in a superlative degree" - he becomes the security guard whom you would wish, without special assiduous training (though also it is possible for fans of a similar sort of job). 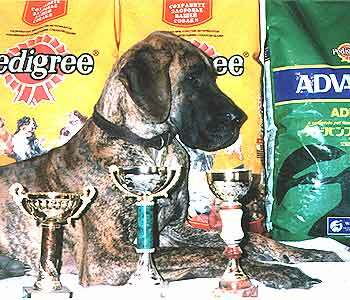 The Great Dane - "a dog in a superlative degree" - can as to get all those qualities which his ancestors possessed. He according to your desire will be the hunting Great Dane or a police dog. 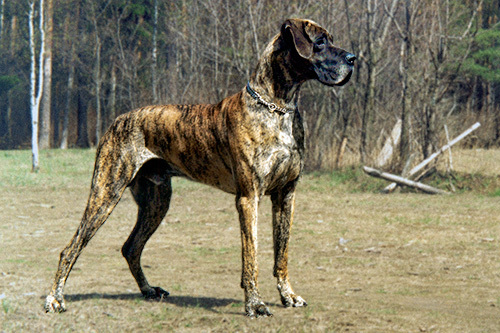 At last, the Great Dane - "a dog in a superlative degree" - he becomes her, proving in all your undertakings by the brilliant partner, whether it be jogs in a wood, riding walks (again becoming "alan", he naturally finds an adequate image of behaviour), can pull small vehicles, that very much pleases children. But he appears also the accomplice, even the employee, many psychotherapeutic and перевоспитательных kinds of activity where his ability to catch emotion in the educated hands can work wonders. Webmaster - Galina Yarmolovich. At use of materials of a site the reference on GajarDoggen is obligatory.